Ending weeks of silence, an attorney for Phil Spector said Tuesday the music producer will be cleared in the death of an actress found shot to death at his mansion. 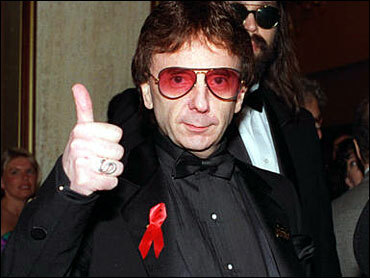 "I am convinced that the thorough and accurate investigation of the evidence by the Los Angeles sheriff's department, its criminalists and the county coroner will prove that Phil Spector is innocent of any crime," attorney Robert Shapiro told The Associated Press, speaking publicly about the case for the first time since his client's Feb. 3 arrest. Meanwhile, authorities are rejecting suggestions that the death of actress Lana Clarkson might have been a suicide, reports CBS News Correspondent Steve Futterman. Clarkson was found shot to death last month. "If we had come to a conclusion as monumental as suicide, we would have a duty to say so publicly," sheriff's Capt. Frank Merriman said. "We believe a crime occurred." Spector, 62, was arrested for investigation of murder and released after posting $1 million bail. He has not been charged, but authorities say he remains the only suspect. Shapiro, perhaps best known for representing O.J. Simpson, declined to discuss what happened at Spector's mansion on the night of Clarkson's death or to say whether he believed the shooting was accidental. However, he discounted reports that four or five shots were fired. He said he had a pathologist present at Clarkson's autopsy and that it had been determined the 40-year-old actress died of a single gunshot wound. Attorney Marvin Mitchelson, a longtime Spector friend, said the producer sent an e-mail to him and others Monday suggesting investigators would soon clear him and that Clarkson's death was "an accidental suicide." "'We hate to use the words, "I told you so," but I did tell you so,'" Mitchelson said, quoting the e-mail. "After seven weeks of silence, we can say with certainty, this will speak for itself, and boy, does it speak volumes." Mitchelson said he has not talked with Spector about the e-mail. Shapiro declined to comment on whether Spector has been sending e-mails about the case to his friends. It may be summer before investigators present their case to the district attorney's office, Merriman said. The investigation is taking time because the evidence is complex and the forensic tests involved take months to complete, he said. Spector, a legendary name in pop music, has worked with such artists as the Beatles, Ramones, Shirelles and Ronettes and is credited with creating the distinctive, heavily layered "wall of sound" that gave an orchestra-like feeling to such pop classics as "Da Doo Ron Ron" and "Then He Kissed Me."